Give your Dad / Father to your Kids something he will really enjoy this Father’s Day. 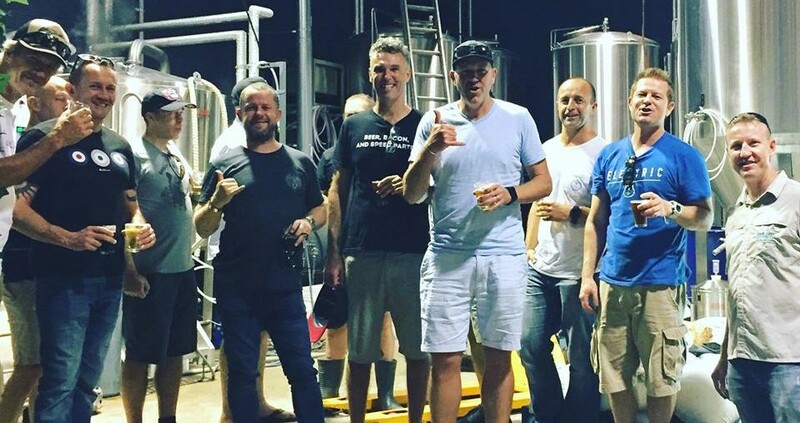 Join South Coast Journeys for a Friday Fun one, trying some of the best craft beer, Wollongong has to offer. We will Pick up 5:00 pm from Wollongong Train Station. (Private pick up and drop offs may be arranged if we get a big group of Dad’s together 🙂 ). Dinner options will be available (more details soon!). 1. Reub Goldberg Brewing Machine: Three Craft Beer Taster Paddle and a cup of Pretzils. 2. Five Barrel Brewing: Three Craft Beer Taster Paddle. 3. Illawarra Brewing Co.: Three Craft Beer Taster Paddle.Join South Coast Journeys for the ultimate Craft Beer tastings on the South Coast. 4. Return to Wollongong Train Station or Wollongong Pubs/ Bars: 8:15 pm -8:30 pm. Call Hamish on 0421 497 604 for more details.